Donors, We are working on upgrades to our online donation scheduling system. If you are unable to log in, please call us at 800 992-2060. Thank you. Minimize your Stuff, Maximize your Karma! Need a little more room in the closet? Donate to Northwest Center! 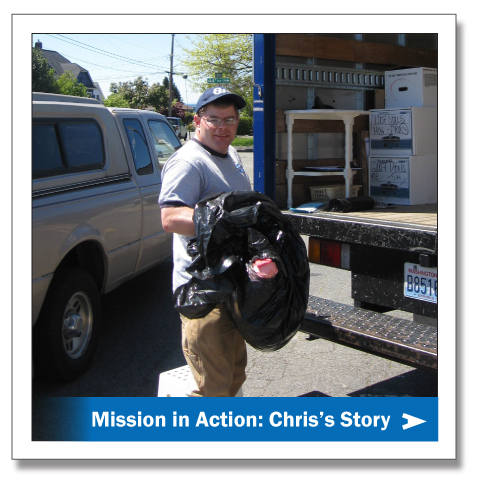 We offer a convenient donation pickup and drop off service for clothing, shoes and household items. Your donations will help impact the lives of local children and adults with disabilities and keep recyclables out of our landfills. Donations of clothing and vehicles are a primary source of income for us. The more we can collect the more support can provide for our programs. Learn more & read our stories http://www.nwcenter.org/.